If a son of the town Salzburg holds a prominent place, it is Wolfgang Amadeus Mozart. Many places of the town Salzburg remind of the creations and work of this exceptional talent. Mozart was born in this house in the Getreidegasse on 27. Jan. 1756. 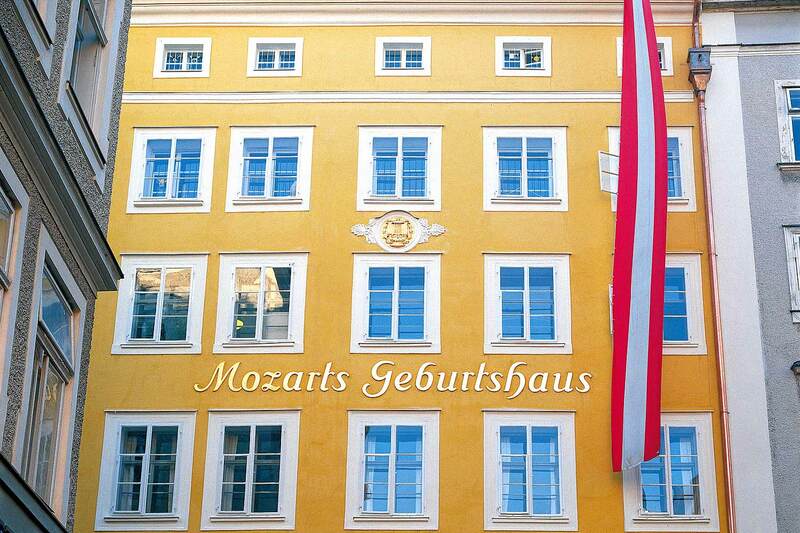 Wolfgang Amadeus Mozart lived with his family in a three-room apartment on the third floor. Already at the age of 4 his father gave him music lessons. 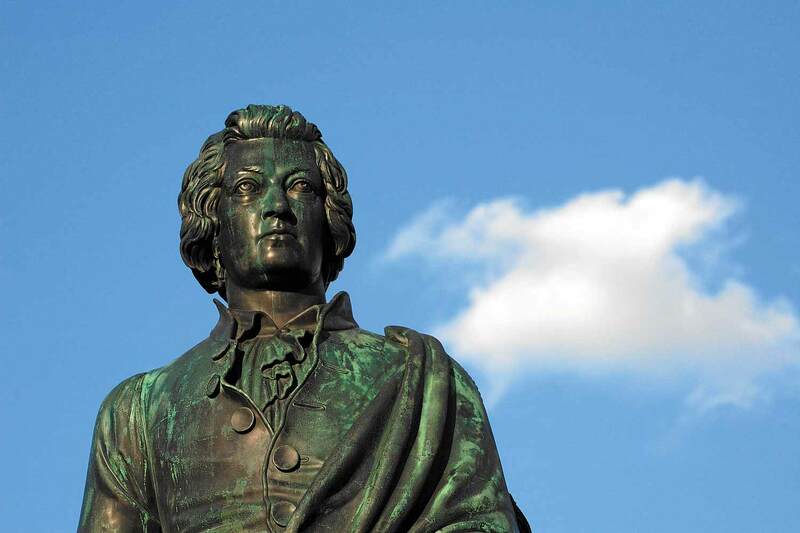 Already in 1762 Mozart made the first concert trips to Vienna and Munich. 1763 he went on a three-year tour of Europe. The house in the Getreidegasse 9 is now a museum on three floors. 1772, Mozart was given the position of concert master by the new Prince-Archbishop, and 1773 he moved into the house on Makartplatz. But the new position did not put an end to his extensive travelling. As, in 1777, he was denied leave of absence, he quit this position and started looking for another. In the so-called Tanzmeisterhaus (dancing master house) on Makartplatz is now another Mozart-museum, on the first floor. The rooms were re-designed in 2006. The Mozart memorial has been standing on the Mozartplatz since 1842. The statue looks in the direction of the old residence and the cathedral. A new Mozart sculpture is situated on the Ursulinenplatz. The statue created by the German artist Markus Lüpertz caused strong disputes in Salzburg. And another Mozart statue stands on the Mönchsberg. Walk on the tracks of Mozart to the places where he worked in Salzburg. 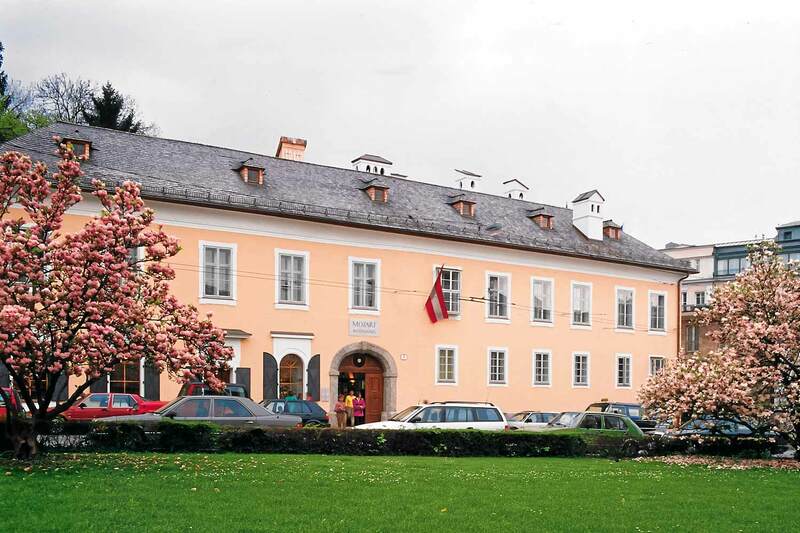 Your best starting point for the Mozart-tour of Salzburg: the charming non-smoker hotel Jedermann in Salzburg’s most popular residential area.